Jack Rose Dining Saloon is a true DC establishment crafted from the minds of DC natives & longtime friends Bill Thomas and Stephen King. Jack Rose Dining Saloon houses the largest whiskey collection in the Western Hemisphere with over 2,000 bottles of hand-selected single malt, blended, international and domestic scotches. 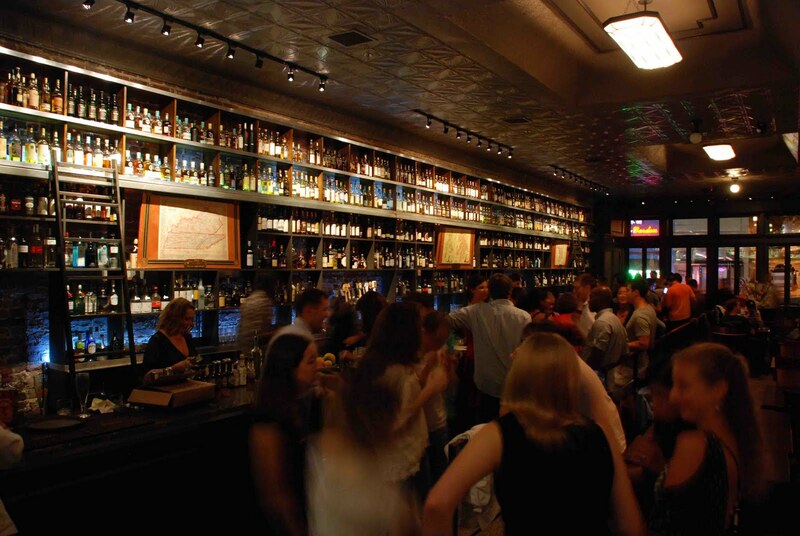 The saloon also carries an incomparable selection of bourbons & other spirits, and serves uniquely hand-crafted cocktails, wines from around the world, and over 20 beers on draft. The three-story destination offers distinctly different experiences throughout: the downstairs dining saloon for restaurant guests, the private upstairs balcony room, the glass-enclosed terrace bar, back Tiki bar, and newest basement Whiskey Cellar which houses weekend cocktail den Dram & Grain. 07/07/2014 Where to Find Tiki Cocktails in D.C.
12/03/2013 Repeal Day: Where to Celebrate in Washington, D.C.
05/22/2013 Where to Drink on Memorial Day Weekend in Washinton, D.C.
01/29/2013 Super Bowl XLVII Food & Drink Specials in Washington, D.C.
01/16/2013 Where to Celebrate the Inauguration in Washington, D.C.
12/23/2012 Where to Celebrate New Year's Eve 2013 in Washington, D.C.
12/05/2012 Repeal Day: Where to Celebrate in Washington, D.C.